Ken Mival is an EPA accredited Environmental Auditor (Contaminated Land) with over 45 years’ experience in geology, engineering geology, environmental engineering and auditing, throughout Africa, UK, NZ, Singapore, PNG, and Australia. Over the past 25 years Ken has primarily focused on auditing and management of contaminated land. He has undertaken environmental audits for many large urban and iconic developments; large chemical and manufacturing plants; clean-up of dioxins; and landfill construction and landfill gas sites. Ken has undertaken over 200 statutory environmental audits and due diligence and regulatory compliance audits for property transfers, factory shut downs, closed landfills and for operational landfills and clean-up of former industrial sites for residential and commercial developments. He has provided expert evidence to VCAT, Planning Panels Victoria, and the Magistrates, High and Supreme Courts, in several jurisdictions on: dam failure; contaminated land; illegal landfills; landfill gas risk; and the cost of remediation of, and responsibility for, contaminated land. Additionally, Ken has provided expert advice to EPA on landfill gas risks; human health risks, and risks to large animals relating to arsenic and mercury contamination from mining; and on clean-up criteria for dioxins. He has taken part in numerous workshops and studies with EPA Victoria on improvements to the Victorian regulations and guidelines with regard to contaminated land management; groundwater and waste. Ken currently represents EHS Support at the Landfill Auditors Workshops (held quarterly) and on their Groundwater committee. 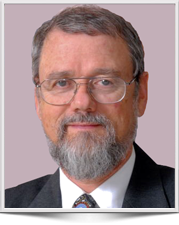 He is widely published and has contributed extensively to the regulatory environmental framework in Victoria and presented many papers and articles for books, conferences, and seminars on engineering geology, contaminated land clean-up, bushfire impacts and disaster planning. Together with the consultants to Melbourne Water, Ken in his auditor capacity won the Consult Australia Engineering Excellence Gold Award in 2011 (Environmental Category) for the clean-up of Dioxins at the 180 hectare Dandenong Sewage Treatment Plant. Ken started auditing the former Docklands areas for the Docklands Authority in 1997, including the 63m clean-up of the former West Melbourne Gasworks completed in 2005. He has also completed audits for all developments within the 30 hectare Victoria Harbour Precinct; the Yarra’s Edge Precinct and for much of the infrastructure up to 2014. Ken conducted an Environmental Audit under Section 53X of the EP Act of the Melbourne Water 193ha former Dandenong Treatment Plant, that included the establishment of criteria for remediation of Dioxins Remediation; then went on to complete audits for the residential area then the industrial zones from 2007 to 2011, plus a 53V Audit of construction of this 6 cell landfill as “CALM” repository for containment of dioxin wastes (2008/10). This included review of design and audit of construction of: leachate system; landfill gas management; cell base linings and cap construction. With the re-zoning of Fisherman’s Bend into “Capital City Zones” Ken has been providing advice to EPA on what worked with Docklands and also undertaking audits of two major properties. The first for a twin tower high rise on Lorimer St for Little Projects, now under construction, and the second ongoing audit for over 300 townhouse lots on the former Symex Oleo Chemical site. This included approval of designs for vapour and odour management capping and the use of “Liquid Boot” inside a heritage building for 6 apartments. Stage 1 audit was completed in 2015 and Stage 2 is currently in progress. Ken is undertaking a 53X audit of a former carpet manufacturing site that is under notice from EPA due to PCE pollution in groundwater. Multiple groundwater wells have identified the areas impacted and client is exploring remediation options. Likely to continue to 2017/18. Ken started auditing the 150yr old former ICI chemical factory site at Yarraville in 2000, completing an audit in 2005 followed by independent auditor review of on-going groundwater monitoring, assessment of organic chemical areas and work plans for a large scale clean up planned to occur in 2016/17. Contaminants included a large range of chlorinated organics, metals, aniline and monocyclic aromatics. Prior to the demolition and audit for over 300 townhouse lots on the former Symex Oleo Chemical site. Ken undertook a section 53V audit to provide EPA with confidence that the site did not remain a significant source of pollution. This permitted the EPA to close the original scheduled premises license and the client to sell the site. Currently (2016) undertaking a 53V audit of the construction of the sideliner for the Cosgrove Landfill. This project includes the review of changes to design to fit the former quarry metrics, approved as major variation by EPA. Currently (2016) undertaking a 53V audit of the construction of the base liner for the Bowser Landfill. This includes a designed multilayered liner with HDPE, GCL and clay layers, as well as leachate collection. This has also included the review and approval of minor variations to the design and review and approval of CQA testing data. Serves as the lead auditor of 20 hectares of former sand quarries and landfills at Oakleigh South including gas risk and leachate management for proposed residential development (2013 to present – ongoing). Audit of Energy Park former landfill in regard to landfill gas risk, leachate management and verification of aftercare management plan and hydrogeological assessment for City of Brimbank. Ken undertook the audit of this former landfill with hydrocarbon wastes (from 2000 to 2014), with clean-up to extent practicable completed in 2012 and 53X audit completed February 2014. Provided verification of hydrogeological assessments and aftercare management plans for several closed landfills at Reg Harris Reserve, Rowans Road, and Springvalley for Cities of Greater Dandenong and Kingston. Conducted a closed landfill audit of the Quarry and Municipal Landfill site at the Heller St North Melbourne for residential development (2008-2010). Audit of closed landfill in former brick quarry at Tooronga, East Melbourne (2008 to 2011) and ongoing assessment of landfill gas risk for future residential developments (2013 – 2015) and recently included car parking and sports field development. Following identification of long-term contamination by the EPA, Ken conducted an audit of this closed landfill filled with foundry waste products. A health risk assessment was also conducted for surrounding residents (2012 – 2014). Ken undertook the audit of this former landfill including a landfill gas risk assessment to provide advice to SUEZ Environment (TPI) on a proposed waste transfer facility to be located on top of the former landfill. Audit of Docklands infrastructure that included a major by-pass (Wurundjeri Way) and storm water and cabling infrastructure. Review of tunnel condition of 8.5km of brick lined tunnels in CBD for Telstra and advice on remedial requirements. Advice to Utility company on removal of infrastructure from Yarra River prior to dredging 2007/2009. Confidential Project June 2004 – Probabilistic Cost Analysis for, and Feasibility of, Construction of Major Infrastructure Project valued at >$50 Billion, Victoria. Geological & geotechnical review, preliminary design and costing, and functional design for relocation of utilities under Yarra River by Horizontal Directional Drilling 2003 to 2006. Engineering Geological and Environmental Dredging Risk Review for power and communication cables beneath Yarra River 2003 prior to channel deepening for Port of Melbourne. Ken has provided expert evidence to several jurisdictions including in Victoria: VCAT, Planning Panels Victoria, and the Magistrates, High and Supreme Courts, contaminated land; illegal landfills; landfill gas risk; the cost of remediation of, and responsibility for, contaminated land; and unforeseen ground conditions. Additionally, he has provided expert reports on engineering geological and geotechnical issues including failure of dams and engineering structures in South Africa. Ken was engaged in 2013 as an expert witness in the Victorian Supreme Court on the origin, hazards and impacts from Coal Tar wastes discovered during construction of a training facility on behalf of MFESB in 2005. Judgement given in December 2015 in favour of MFESB concluded that the former Council was liable for the clean-up costs related to abandonment of the former tar pit and wastes that it contained. • Multiple sites impacted by TCE vapour (2015). • Planning Panel on suitability of sub-divisions St Albans. • Asbestos contamination delaying office building for SE Water (2015). • Impact of contamination on land value on former tannery Maribyrnong, Vic (2013). • Expert Review of data to identify source of PCB contamination for litigation (2012). • Planning Panel on Lang development adjacent to former landfill. • Review of Management Plan and expert witness for illegal landfill (Greenvale) for EPA prosecution. • High Court action on costs of contamination at 75 sites Port of Melbourne. • VCAT on demolition and remediation of contaminated slipway site Williamstown. • Review of Asbestos Contamination for Litigation at Defense Site Broadmeadows, Vic. K Mival – 1984 – Assistance to Editor (ABA Brink) on one chapter in “Engineering Geology of Southern Africa Vol IV – The Quaternary”. K Mival 1998 – A paper on a “Scheme for the rapid assessment of the structural integrity of lined tunnels” to the XI Australian tunnelling conference. K Mival -1996 – Author of the Australian chapter of the study on “International Experience and Expertise in Registration, Investigation, Assessment, and Clean-up of Contaminated Military Sites.” published by German Federal EPA. Ken has also presented and had published various scientific papers and articles locally and internationally on aspects of land reclamation; on clean-up of sites contaminated with heavy metals; risk based approaches to soil remediation; ground improvement; geology of cities; instrumentation & monitoring; penetration testing; slope stability; blasting trials for stabilisation of undermined ground, and aspects of climate change. Gorman J, Mival K, Wright J, and Howell M, – 2002 “Developing risk-based screening guidelines for dioxin management at a Melbourne Sewage Treatment Plant” Paper e20500a Enviro 02 Melbourne April 2002 (re-published in Water Science & Technology Journal, Vol 47 No 10 pp 1-7 by IWA publishing 2003). Mival K, 2004 – “All that’s Green is not Clean – Lessons from the Risk Based Management of a Gasworks Clean-up” Paper e4095, to Enviro 04 Sydney, March 2004. Mival K, Pump W, Dixon G 2006 “From Wasteland to Green Parkland – The Clean-up of the West Melbourne Gasworks” presented to MGP06, Reading UK April 2006. Mival K, 2011 “The Challenges for an Environmental Auditor of Dioxin Remediation on a Former Sewage Treatment Plant Site” presented to Ecoforum – Sydney March 2011 – also presented to ACLCA Adelaide 2013. Mival K; – 2016 – presented on “Land use Planning and Controls” for ALGA Seminar on Vapour and Gas Mitigation. K Mival – 2009 – Presentation – “Living in a Bushfire Zone – Planning; Decisions; Actions” to VPELA Seminar June 2009. K Mival – 2011- Presentation “Impact on land, groundwater and community and recovery from the 2009 Victorian Bushfires” to ALGA April 2011. K Mival – 2014 – Presentation “Costs of Rebuilding in Bushfire Zones” to VPELA 2014. K Mival – 2015 – Article “Re-assessing the Disappearance of the Clippership Guiding Star” – published in The Great Circle – the biannual peer-reviewed journal of the Australian Association of Maritime History, Volume 37 No 2 pages 16-39.